For more information on Carmelo and additional pictures of those miraculous rose petals, go HERE, HERE, and HERE. For now, however, I will describe the process by which these miracles occur. Mass. 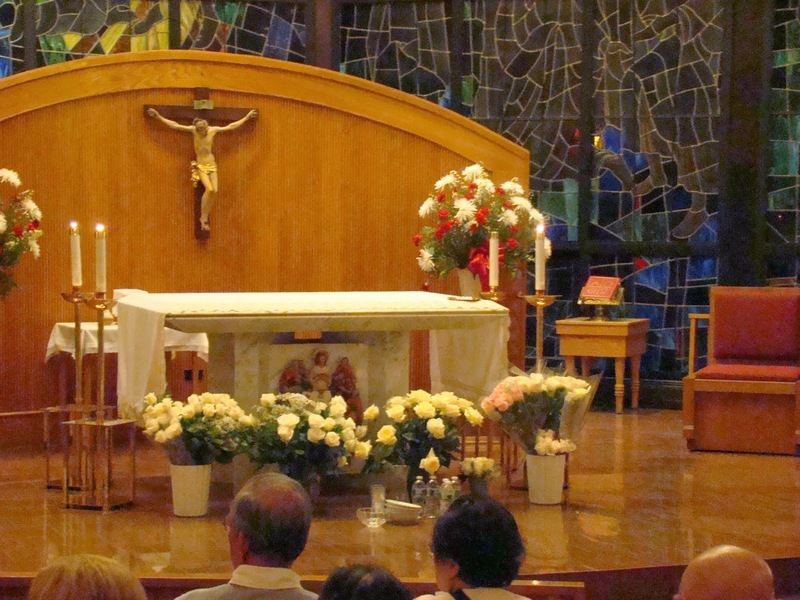 As suggested, I brought with me long stem, white roses as a gift to Blessed Mother. However, in order to fit them into my luggage, I had to cut the stems. 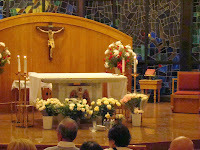 Later, it was easy for me to see that my roses had been placed at the altar (right), along with the others. This confirmed for my skeptical side that rigged roses were not being substituted. 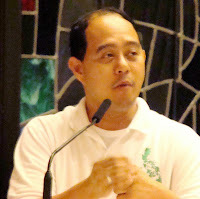 After Mass, I was still wondering who Carmelo was, since I had not seen a picture of him. Then, a quiet, unassuming man emerged. He asked for the assistance of two priests and another man, who I believe was a deacon. Unceremoniously, Carmelo then began tearing rose petals off the stems, from the flowers that had been brought by the congregation. Those petals were tossed into a bowl with no recognition that they were anything special. Then Carmelo asked the priests to crack open typical bottles of drinking water. From that, we could tell that the bottles had not been opened, previously. For further evidence against tampering, he asked the priests to drink the water, and they did. Then they poured the water into the bowl that held the rose petals. Carmelo asked one of the priests -- a particularly holy one -- for his Rosary, and then submerged it into the bowl. Without delay, Carmelo asked his assistants to bring the water around to all the congregants so that they could either touch the water or submerge their Rosaries in it. I was surprised to find that the water had become very oily to the touch and very fragrant. I dropped my Rosary in, and only later realized that it must have been at this time that my Rosary's silver chain turned golden. Then, only seconds later, people began pulling out their rose petals as sounds of amazement sounds of amazement were heard. 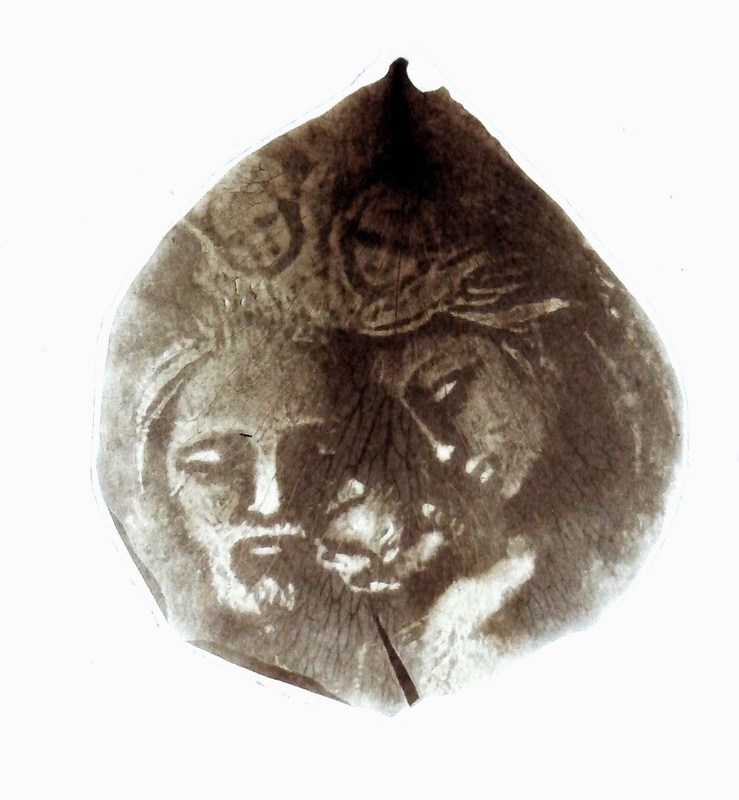 As we shared our petals, a tremendous number of holy images were seen when the white petals were held up to the light. 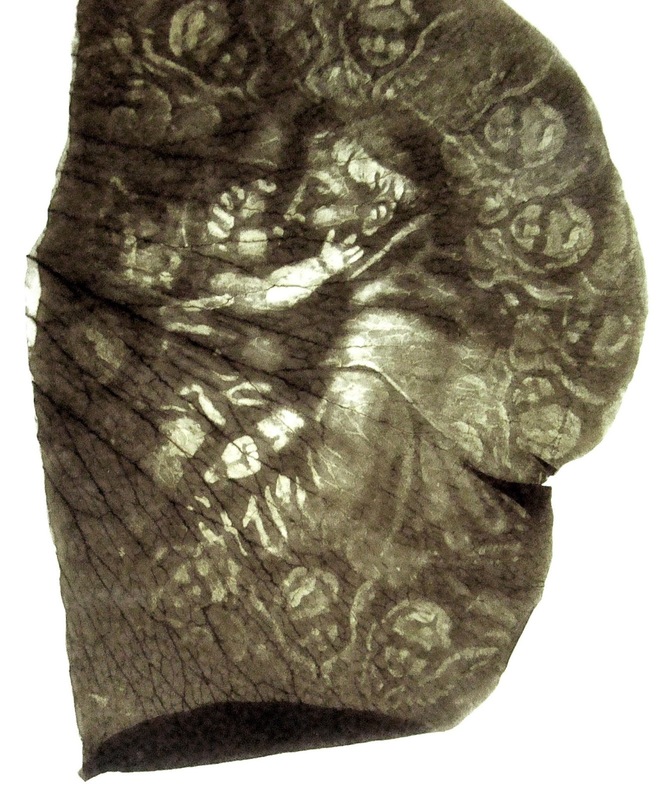 Sometimes, people were shocked to find that images of patron saints that they were particularly fond of could be seen on their petals. The evening defies explanation, unless one is willing to admit that we love a God of miracles! The Holy Family with angels overhead. St. Anthony with Baby Jesus and angels.